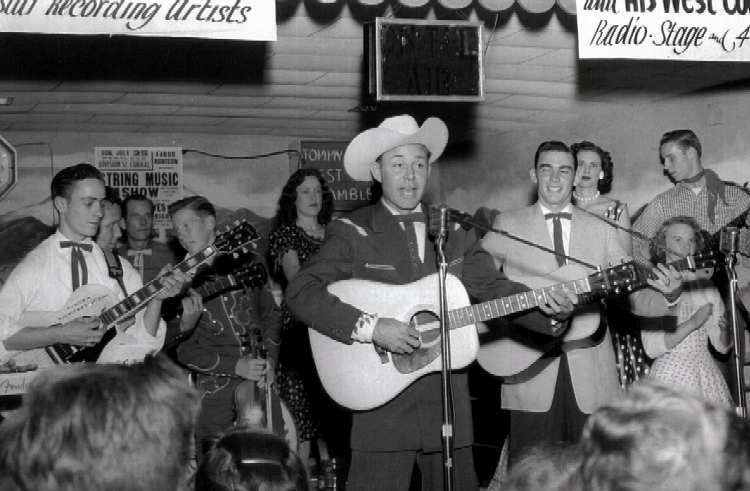 Jim Reeves and The String Music Band Show at the Division Street Corral - Sunday, July 25, 1954. Jim Reeves is among the artists featured in this photo. Also shown are The Browns. It shows the ABBOTT Stringband Music Show. On the left of the picture is Leo Jackson, Jim's guitar player. Everyone called this place the "D Street Corral." I saw "It's a Beautiful Day" there in November 1972. I think the opening band was "Brown Sugar," from Portland. 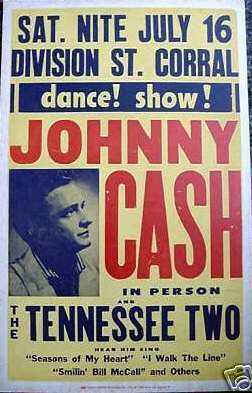 My Grandpa Arkie Benedict played there often with his Country and Western Band "Arkie and the Jolly Cowboys"
Tommy Kizziah and his West Coast Ramblers played at Division Street when it was owned by Charlie Ceciliani and his wife. He did a live radio show from the stage there on Saturday nights right after the Grand Ole Opry. I saw Paul Revere & The Raiders there in 1963 or at the latest the first half of 1964. I just stumbled on this site. It brings back memories. I can't begin to count the Saturday Nights I spent out there work'n out to "Paul Revere" ....."The Kingsmen", "Don and The Goodtimes" and little known local bands like "The Sonics", "The Hearsemen", "The Viscounts", and I can't even begin to tell you all the Girls I met out on that hard wood dance floor. I'm 58 now and still have all the old 33's from the sixties and everytime I listen to them I think of D Street. If you want go back even futher my Mom n Dad used to dance out there to "Heck Harpers" band to name a few. The Division Street Corral is no more. It was demolished in late March 2007. We also backed 'Jan and Dean' , and Bobby Bare in 1963, on their Northewest tours. Jan and Dean were kinda sad without their reverb and echo. Bobby Bare had '500 Miles' and 'Detroit City' around that time. Under the pseudonym Bill Parsons, he recorded "All-American Boy". The crowds really loved that song. We would play at the Division Street Corral one night, then the Cascade Club, the next.or vice-versa. Saturday night, July 16, 1960: It was hot as cars filled with teenagers drove past the large maroon sign featuring a white rearing horse, up the gravel lane and into the packed parking lot of the Division Street Corral. The boys wore clean Levi's and collared shirts; the girls, billowing skirts over stiff petticoats starched with unflavored Jell-O. They parked and stood in line under the awning, waiting to hand over $2 to get into the dance hall. Johnny Cash was in town, and Portland's youth had gathered once again on Southeast Division Street for a night of dancing, music and flirting. "We went there to show off what we were dressed in, to see what boy we could get to smile at us," Barbara Hicks, 64, said. Fifty years ago, the Corral was the hot spot for Portland-area youth on Saturday night. "It was where we went to see and be seen," Hicks said. "It was always crowded." Now, all that's left are a collection of memories and a shell of a building. Soon, the building will be gone. "It was the thing to do"
Hicks, along with friends Carole McInerney, 62, and Punki McNnamee, 63, drove from Lake Oswego and Estacada to dance at the Corral once or twice a month through their high school years in the late 1950s and early 1960s. "It was the thing to do," McInerney said. "I ended up with friends from all over the Portland area that I would not have met otherwise." Hicks and McNnamee agreed the Corral provided them with an avenue to self-confidence. Going out, meeting new people and learning how to develop social skills were all part of becoming an adult, and the Corral was a place to hone those skills, Hicks said. For others, like Nancy Tice, "it was the music and to be able to dance," that drew her to the Corral on Saturday nights. "It was a convenient social outlet," Tice said. "You could go every week. It was a cool place to hang out." "It was just fun," McInerney said. "It was such fun to go out there." Once inside, the teens were greeted by dim lighting and a vast, hardwood floor. That dance floor -- the second-largest in the West -- was so highly polished you could see your reflection in it, the result of owner Charles Ceciliani's daily waxing. The smell of wax and perfume filled the hall. The decor was country-western, with bearskins on the walls and Texas Longhorns and deer heads hanging from the rafters. The bandstand, directly across from the entrance, was low enough that listeners could rest their arms on top of it or even reach out and touch the performers. If dancers were hungry or thirsty, they could make their way over to the snack bar, off to the side. Soda pop, hot dogs, candy bars and cigarettes were available, but no alcohol was served. Of course, that didn't stop some teens from slipping out to the parking lot for a sip of Olympia beer or Thunderbird wine. Charles Ceciliani, who died in 1995, conceived the idea for a Western dance hall in the late 1940s. With support from his wife, Adoline, Ceciliani built the Corral, at 17119 S.E. Division St., and opened it in December 1948. In later years Charles and Adoline's four children -- Art, Joanna, Carl and Jeannie -- worked at the hall, making it a family business. About 2,400 people showed up on opening night to dance to the music of local country-western performers Arkie and His Jolly Cowboys, said the oldest of the four Ceciliani siblings, Art Ceciliani. From that night on, through snow in the winter and even a lightning strike, the Corral was open every Saturday night until 1979, he said. A television program, "Circle 8 Hoe-down" featuring local TV personality and "cowboy" Heck Harper, was broadcast from the Corral from July-September of 1957 on KGW. In the late 1950s, as the popularity of country music began to wane and rock 'n' roll became king, the Corral adapted. 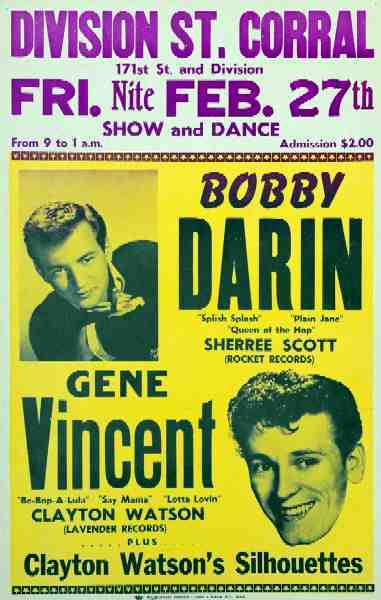 Starting with Bobby Darin's 1959 performance, the Corral transitioned into showcasing more rock bands like Paul Revere and the Raiders and the Kingsmen. Roy Orbison performed at the Corral in 1963. "He had a large entourage," said Tice, 59. "He had on the trademark thick sunglasses, and the suit he wore was kind of a dusty green mint color. We got to be very close to the stage, it was a fantastic show. They played the popular music of the late '50s and early '60s and I just loved it." Tice grew up in Southeast Portland, and often danced at the Corral on Saturday nights in 1963 and 1964. The Corral continued to draw crowds through the 1960s and 1970s. 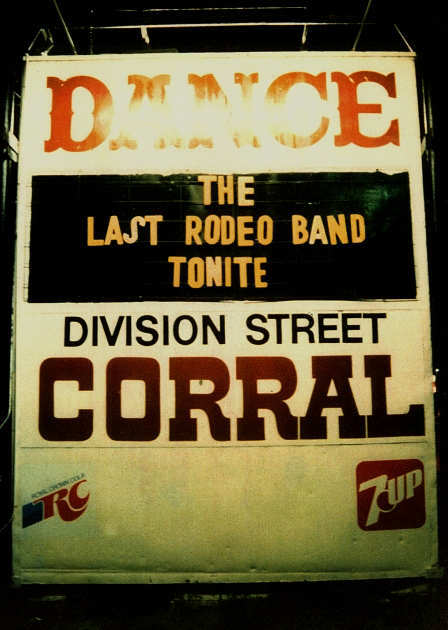 But as the 1970s drew to a close, so did the Corral's heyday as a dance hall. A fire in 1979 that was later determined to be arson destroyed parts of the roof and the inside of the hall. The culprits were never caught. While the hall was closed, it was slowly renovated. "Dad retired, took his time and slowly repaired it," Carl Ceciliani said. "It took years." The hall reopened several years later and was rented out to groups for various events. But dances were never held again. Today it is the site of a weekend flea market, filled with vendor booths. The flea market will continue to operate until Jan. 1. The Ceciliani family sold the property Oct. 10 to local developer Gary Osterholm, who plans a residential development after demolishing the hall early next year. "I just thought the time was right," said 85 year-old Adoline Ceciliani. "I couldn't take care of it like I used to." As the crowd converged on the bandstand on that hot July night in 1960, Hicks and her friends made their way to the edge of the stage. She was close enough to touch the performers and even picked up broken pieces of Cash's tortoise-shell-colored guitar picks. The night was so hot that Cash asked if he could remove his jacket. The crowd yelled back its approval, so he took it off, folded it and draped it across a chair behind him. An "older" woman of about 25 in a tight red dress began to shout, "Take it all off!" Hicks recalled. "That was considered just over and above anything that was acceptable and they got her right on out of there. . . . Now they'd be throwing their underwear up there and nobody would think twice." Hicks returned to the Corral about five years ago to see what had become of it. "I thought it'd be a nostalgia trip, but I could've just sat there and cried," Hicks said. "That beautiful, beautiful hardwood floor had been stomped to sawdust." The hall, now partitioned into cubicles for the flea market vendors, smells musty, nothing like the blend of floor wax and perfume she recalls. The bandstand is nearly invisible, taken over by a booth. Several of the stage lights still hang from the rafters, but they no longer work, having been melted by the fire. "I know logically, it could never go back to what it was," Hicks said. "Even if they built another new one on the same lot, it can never be what it was." "Those were sweeter, more innocent times," Tice said. "But the times have changed." Hi, my name is Joanna Ceciliani. I am the daughter of Adoline and Charley Ceciliani who actually bought the land and built the Division Street Corral. My Mother and Father built it and hired Byron Benedict (Arkie) and his band as the first band to play there and as the house band for the first several years. I have many pictures and the history and many more pictures if you like. Arkie was the first band to ever play at the Division Street Corral built by Charley and Adoline Ceciliani. 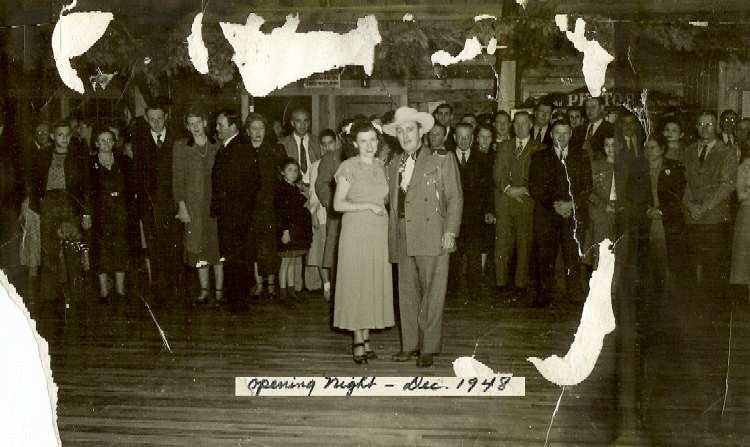 Opening night was in December of 1948. 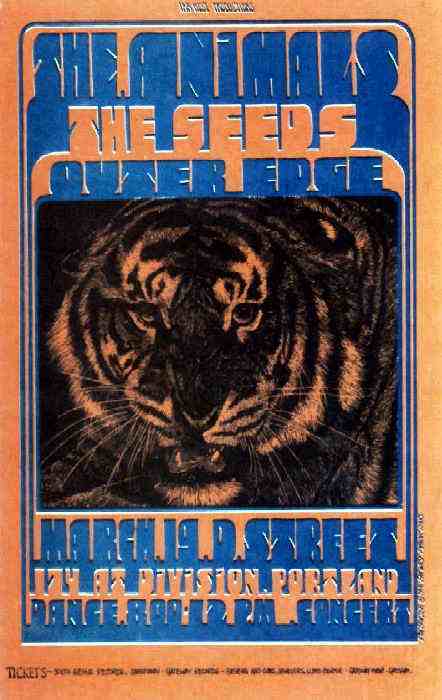 Arkie was a neighbor and theyhired him to be the first band to play there. 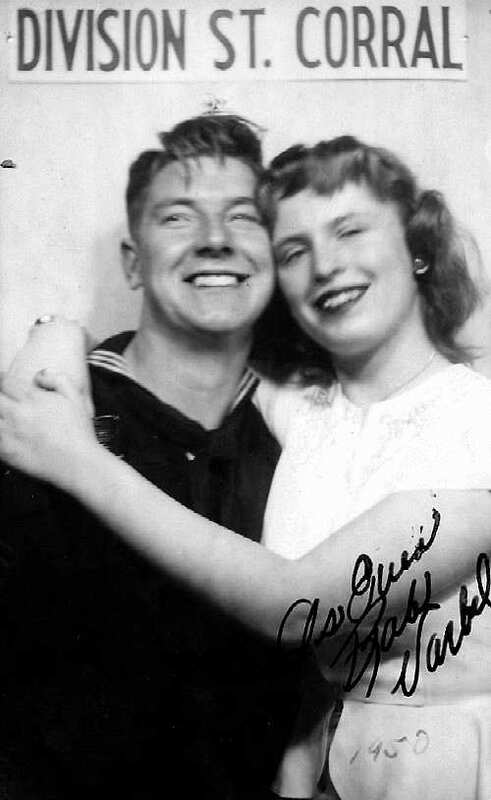 They were upset a few years later (1954ish) when Mom and Dad had to let them go because the times were changing and Rock and Roll was starting to demand they change bands. Mom and Dad liked Arkie and his wife very much but it was a business decision they had to make at that time to stay in business. It was then that Mom and Dad started hiring from Nashville to include Johnny Cash, Ray Price, Hank Thompson and many many many others. The dance hall was operational as a dance hall until 1979 when an arsonist set fire to the hall. The building was then leased until October of 2006 when my Mother finally sold the property. I grew up in the house in front of the dance hall until I left and got married. My Mother lived there until it was sold. I can remember back in 1964-65 when Buck Owens and his Buckaroo's were chased out of this place when someone sent tear gas through the place just after intermission. Everybody was searching to getl the person who did this. I was inside. 1000 people were trying to exit the place at once. The Epix also performed several times at the "D" Street Corral in 1964- 1965.....on occasion, we were pleasantly surprised to be joined onstage by Jack Ely, a friend of our manager, and the voice of the Kingsmen's version of Louie Louie, and we were pleased to have the opportunity to back him while he performed his version of the song. My name is Tom Wayne (Trullinger). I was the lead vocal for "Vegas",one of the most popular bands to play at D-Street 1972 -1975. We consistently drew 1500 to 2000 kids and at times breaking fire code violations. We played there an average of once a month...sometimes twice. The Cecilianis remained my friends til about 1998 when I lost touch and Mr C died. I ran into Paul Revere in Branson a couple of years ago where I had a show. I went to his show and hung out for a while with him and Bill Medley. Paul had some great stories about D-Street. It's a shame D-Street couldn't have been saved for historical reasons if nothing else. I made an effort to buy it in 1997 from the Cecilianis, but they weren't ready to let it go. It would be nice to get in touch with their daughter just ot see how she and her family are doing. I saw the Temptations there, if I remember correctly, more than one time. Those were the days! I was reading a comment on the page about the “It’s a beautiful Day” concert in 1972. I was at that show and B.B. King was the headliner. The first band up was “Brown Sugar”, then “It’s a Beautiful Day” and finally, B.B. King. It was awesome. I was stationed at Portland Air Base from 1961 to 1965, and hung at D Street. A Nancy Tice is referenced in the information Anna Prior provided from interviews. If it's who I think it I was with her when Roy Orbison appeared at D Street. Nancy describes the suit he was wearing accurately. I can't believe D Street made to the web. Demolition of D-Street Corral Homestead Halted!